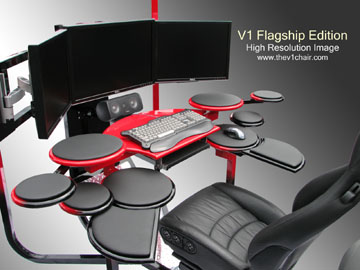 The Vision One Computer Desk offers ergonomic comfort and outstanding quality at an affordable price. 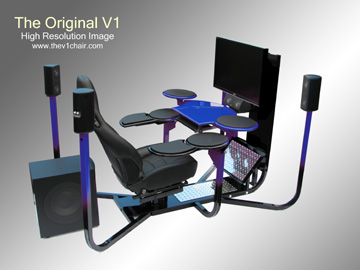 Please explore this website further to learn more about the V1 computer desk system. 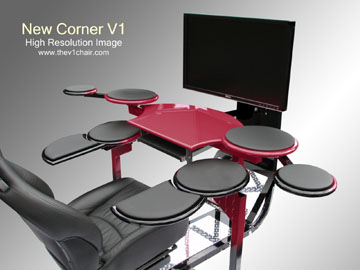 The V1 computer desk is dynamically designed to be the best computer desk system on Earth. Comfort, quality, and customer satisfaction are our primary goals here. 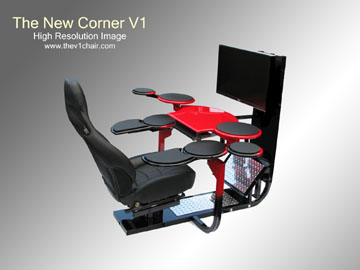 Three years of planning and development has brought the V1 computer gaming desk to this certain point. It can now be yours. Each V1 desk is handmade in the USA. If you want the best, you have come to the right place.